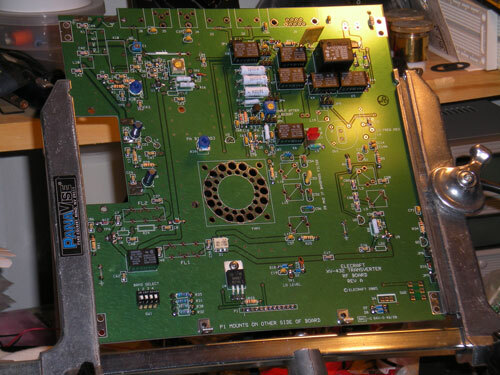 I worked on the main RF board tonight off and on 10-15 minutes at a pop. So far the construction is going ok. There were a couple of parts that I had hard time finding that appear to be in the finishing bag instead of the main bag which is slightly different that the parts bags for the XV432. Most people would probably not notice the inconstancy in the part bags because they are not building two transverters back to back.